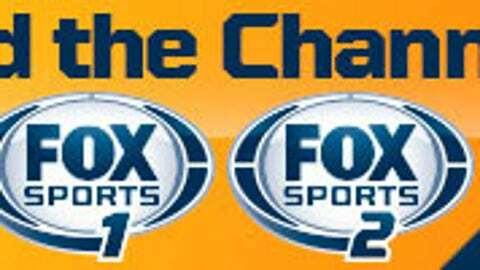 Will Amar’e Stoudemire leave NBA for Israel after next season? 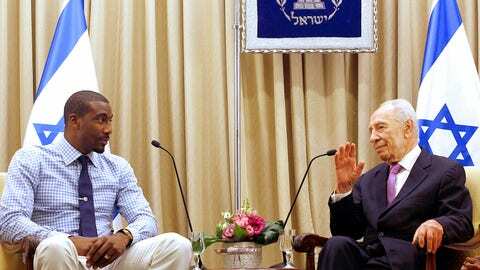 Israeli President Shimon Peres (right) hosts Knicks forward Amar'e Stoudemire at the presidential residency in Jerusalem on July 18, 2013. Amar’e Stoudemire could be chucking up the deuces to the NBA after he finishes the fifth and final year of his $100 million contract he signed in 2010, according to the New York Post. The NBA veteran might join Hapoel Jerusalem, a team in which Stoudemire has a vested interest — he’s one of a four-person ownership group that holds a 60-percent stake. The Israeli franchise has become an elite squad — they are at the top of their league with a 20-7 record — after Stoudemire and his group of investors went ahead with the purchase last summer. The six-time All-Star will be going into his 12th off-season after coming off a late surge that almost carried the Knicks into the playoffs. He averaged 11.9 points and five rebounds in 22.6 minutes per game, and shot 56 percent for the season, so depending on his health next season, he could be looking at another potential hefty NBA contract. But Stat wouldn’t mind boosting the status of his Israeli squad. "We’ll see," Stoudemire said. "You can’t rule anything out. The future is unknown and so if I have an opportunity to (play in Israel) and am still in great health, it would be great. I have one more year left on my deal and we’ll go from there." As you can see in the photo above, Israeli President Shimon Peres is already familiar with Stoudemire and even invited him to play for their national team while the 6-foot-11 baller was visiting the country last summer. Stoudemire also claims to have Hebrew roots on his mother’s side, so there are plenty of reasons he would be a good fit over there. While he could potentially play for Hapoel one day, he has been busy recruiting players for the team as well. Stoudemire has been seen in traditional Jewish attire and continues to be proud of his beliefs and Judaic studies. “I’m always studying, never stop in my quest to search for the truth, especially with Passover coming,’’ Stoudemire said. We wish you the best of luck Stat, even if you say "Shalom" to the league after next season.